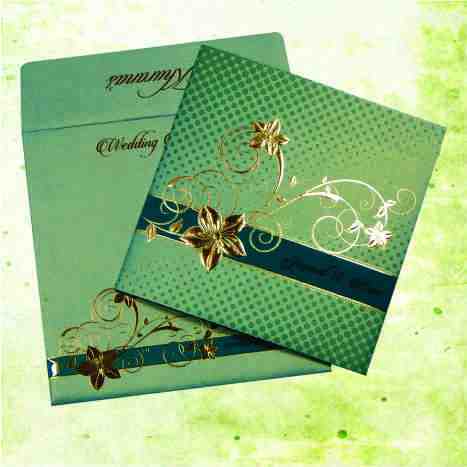 MAIN CARD : Gold Color 250 gsm Shimmery Finish Paper With Self Texture Printing. Main Card Made in Pocket Style. INSERTS : Matching Color Inserts, on 250 gsm Shimmery Finish Paper. Inserts Tied with Gold Color Tassel.